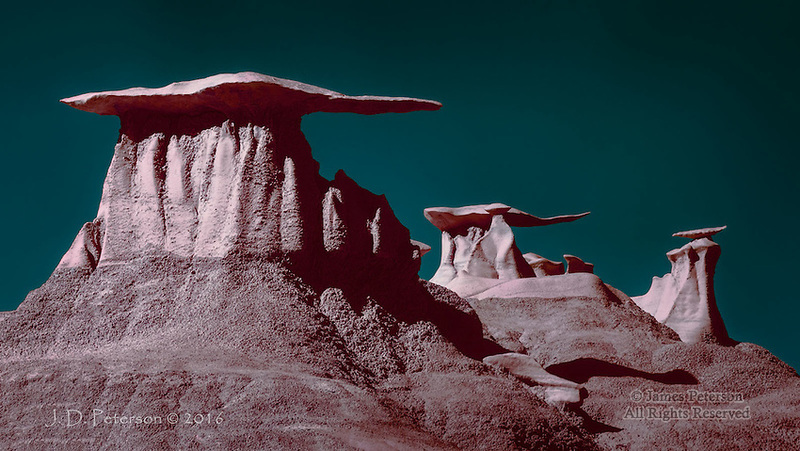 World of Wings, Bisti Badlands, New Mexico (Infrared) ©2016 James D Peterson. It would be perfectly understandable for someone to believe that this place could not possibly exist on our world. But I made this panoramic photograph (stitched from three images) without resorting to interplanetary travel.